Treatment of osteoporosis. Treatment of glucocorticoid-induced osteoporosis. Preservation of bone mineral density in patients on long-term corticosteroid therapy. 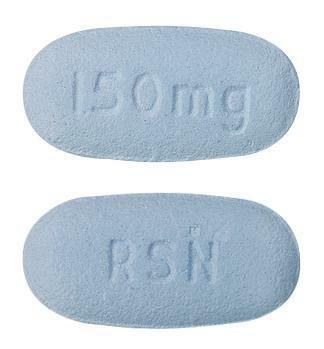 Light blue oval shaped film-coated tablet with "RSN" engraved on one side and "150 mg" on the other side.